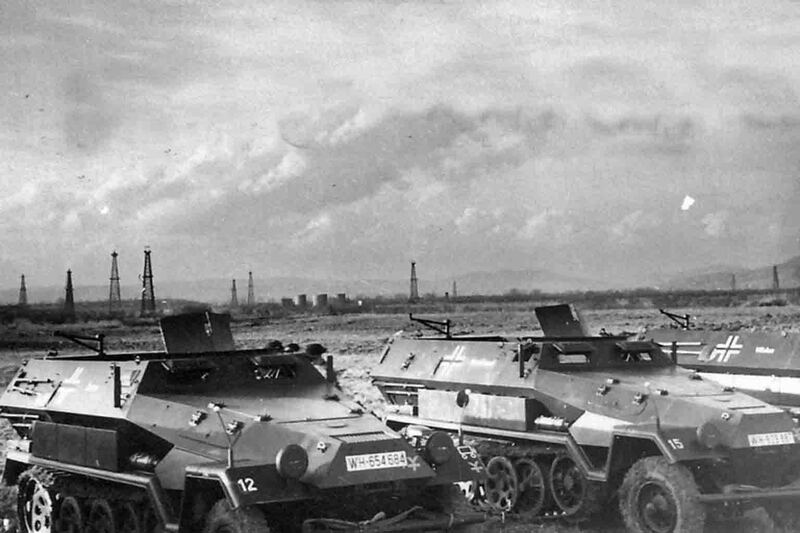 Armored personnel carriers Sd.Kfz. 251/1 Ausf.B “Hanomag” from the 16th Panzer Division of the Wehrmacht (16 Pz.Div.) protect the oil-producing facilities of Romania. March of 1940.